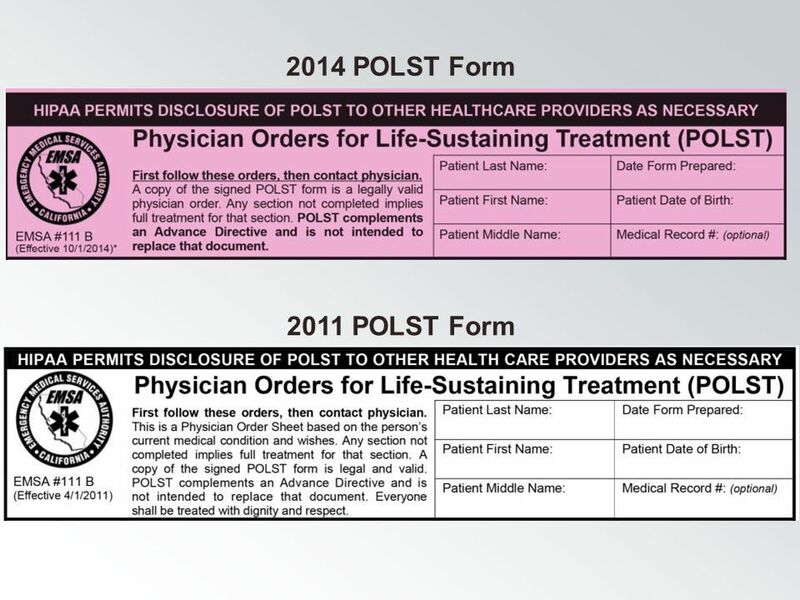 California POLST Education Program ©July 2014 Coalition for Compassionate Care of California Materials made possible by a grant from the California HealthCare. 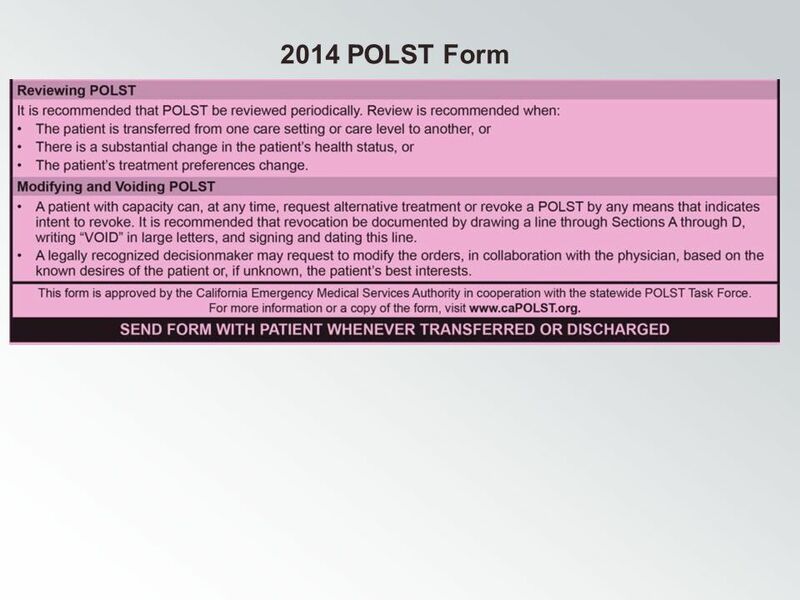 2 California POLST Education Program ©July 2014 Coalition for Compassionate Care of California Materials made possible by a grant from the California HealthCare Foundation 22 Revising POLST The National POLST Paradigm recommends periodically updating the form based on feedback from usage in the field. 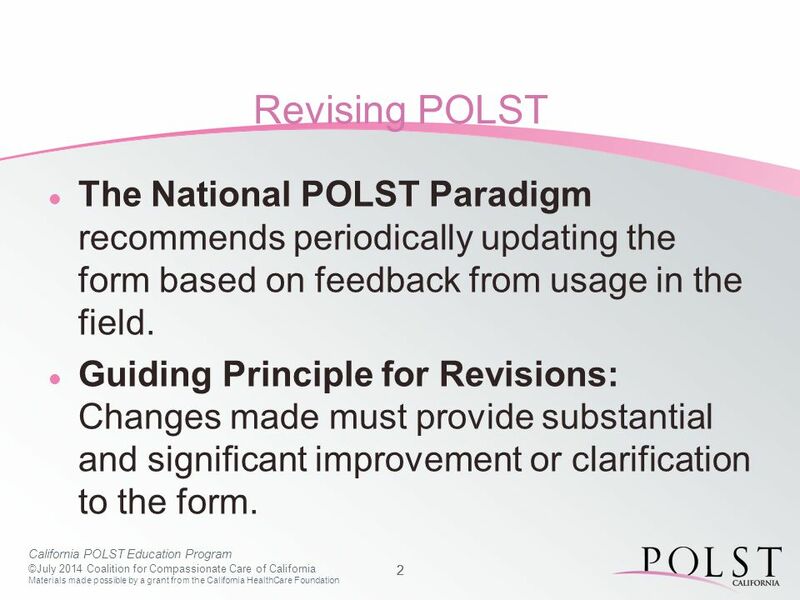 Guiding Principle for Revisions: Changes made must provide substantial and significant improvement or clarification to the form. 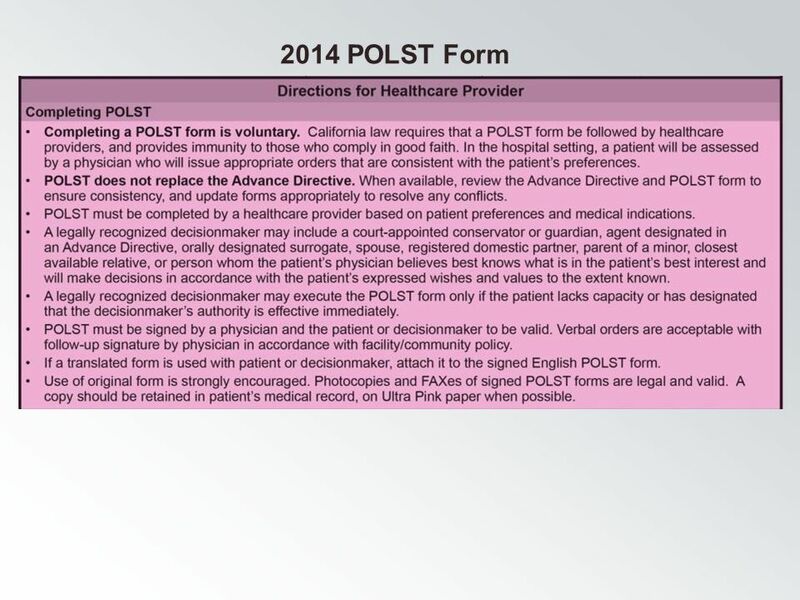 3 California POLST Education Program ©July 2014 Coalition for Compassionate Care of California Materials made possible by a grant from the California HealthCare Foundation 33 Revision Process The POLST Task Force formally solicited suggested changes to the form. An online survey was sent to more than 1,500 organizations and individuals. 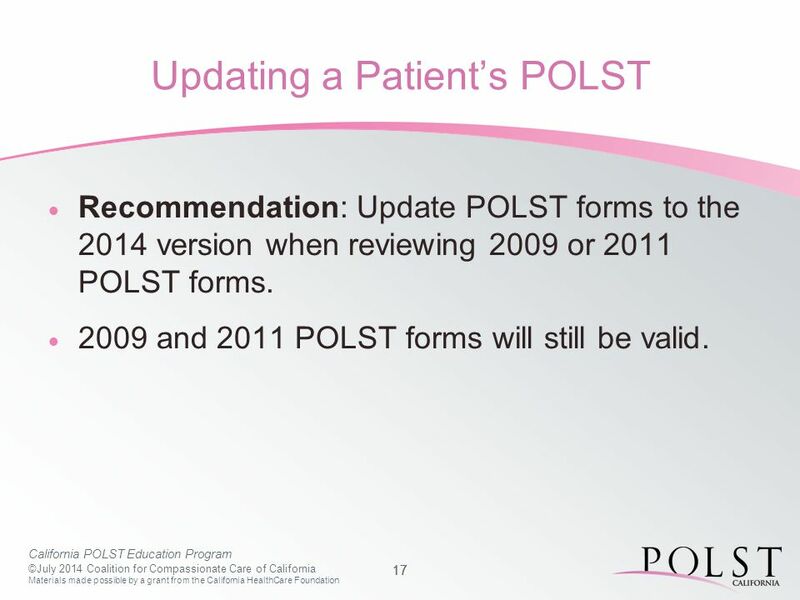 The POLST Documentation Committee reviewed suggestions and made recommendations. 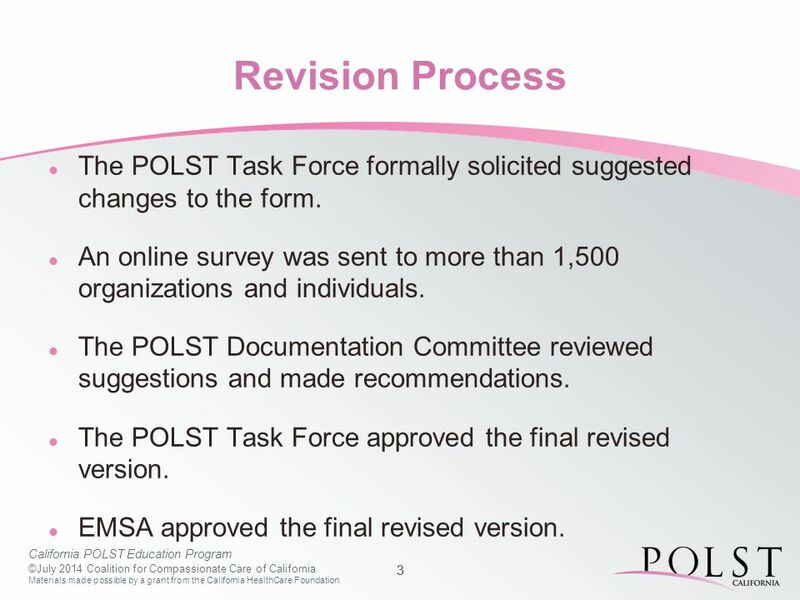 The POLST Task Force approved the final revised version. 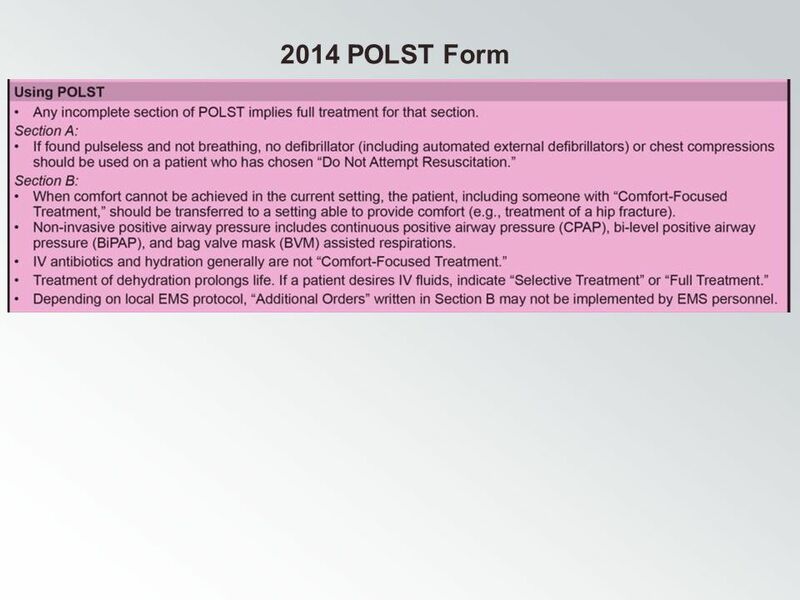 EMSA approved the final revised version. 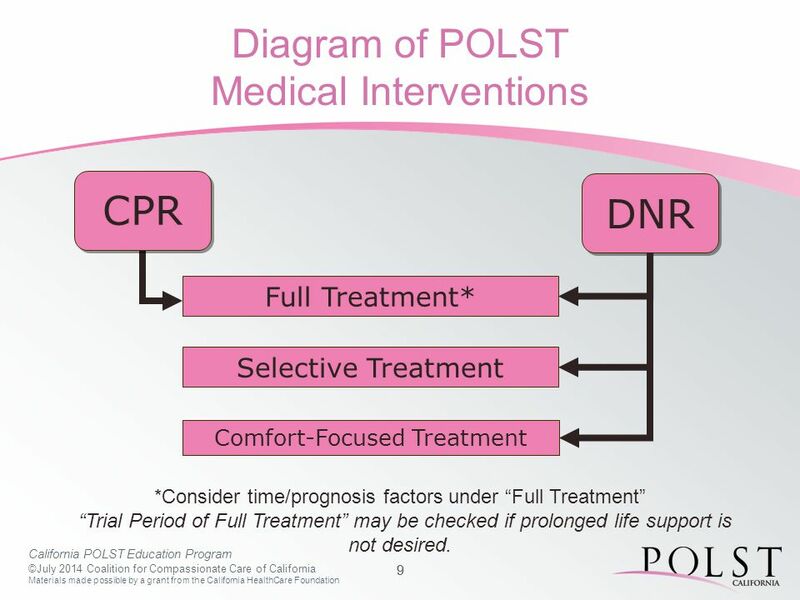 9 California POLST Education Program ©July 2014 Coalition for Compassionate Care of California Materials made possible by a grant from the California HealthCare Foundation 99 Diagram of POLST Medical Interventions CPR Comfort-Focused Treatment DNR Full Treatment* Selective Treatment *Consider time/prognosis factors under “Full Treatment” “Trial Period of Full Treatment” may be checked if prolonged life support is not desired. 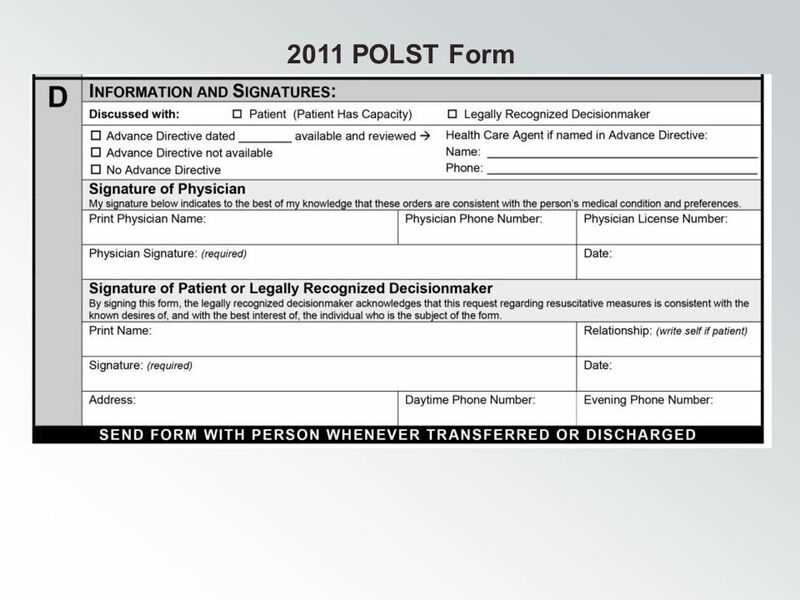 17 California POLST Education Program ©July 2014 Coalition for Compassionate Care of California Materials made possible by a grant from the California HealthCare Foundation 17 Updating a Patient’s POLST  Recommendation: Update POLST forms to the 2014 version when reviewing 2009 or 2011 POLST forms. 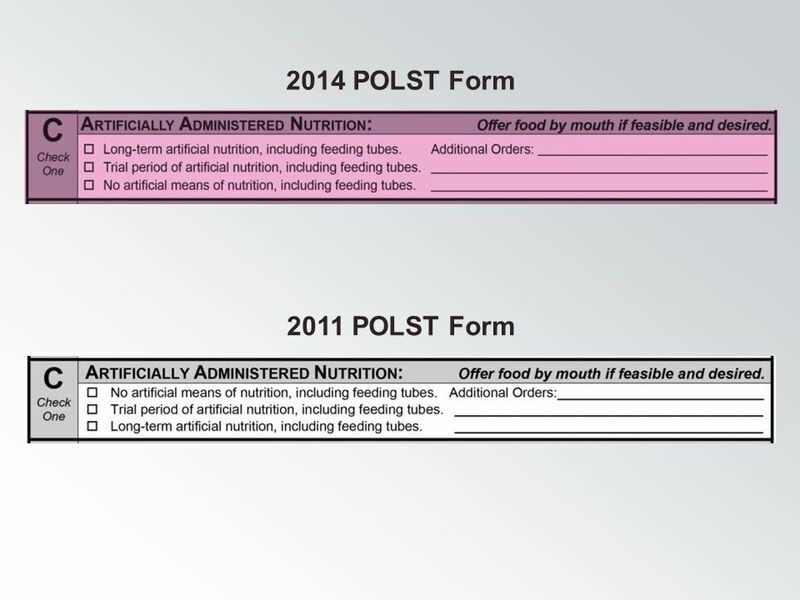  2009 and 2011 POLST forms will still be valid. 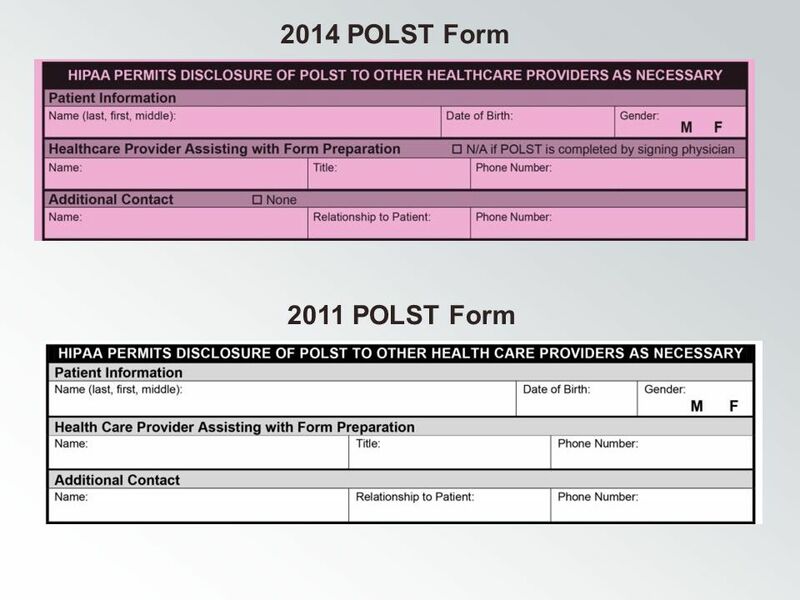 18 California POLST Education Program ©July 2014 Coalition for Compassionate Care of California Materials made possible by a grant from the California HealthCare Foundation 18 2014 POLST Availability The 2014 POLST was uploaded to the capolst.org site on August 15. 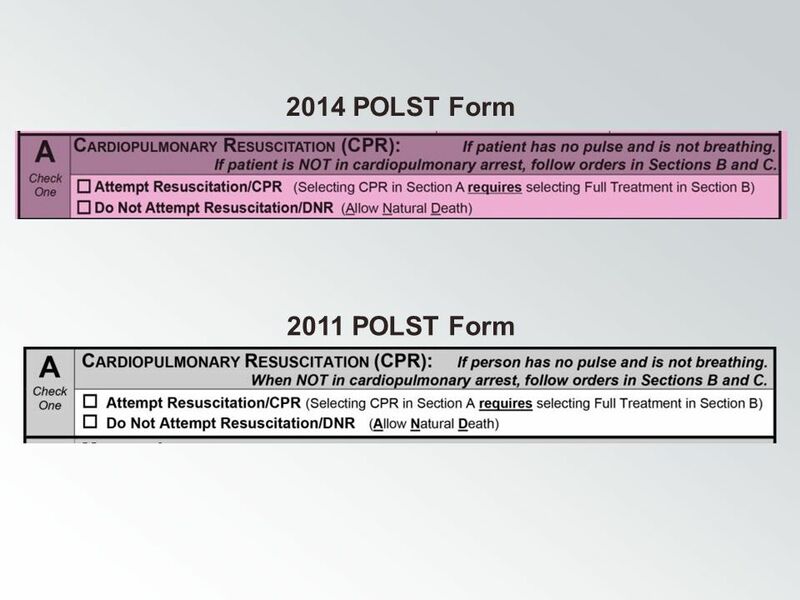 All of the translations of the 2014 form are also available. 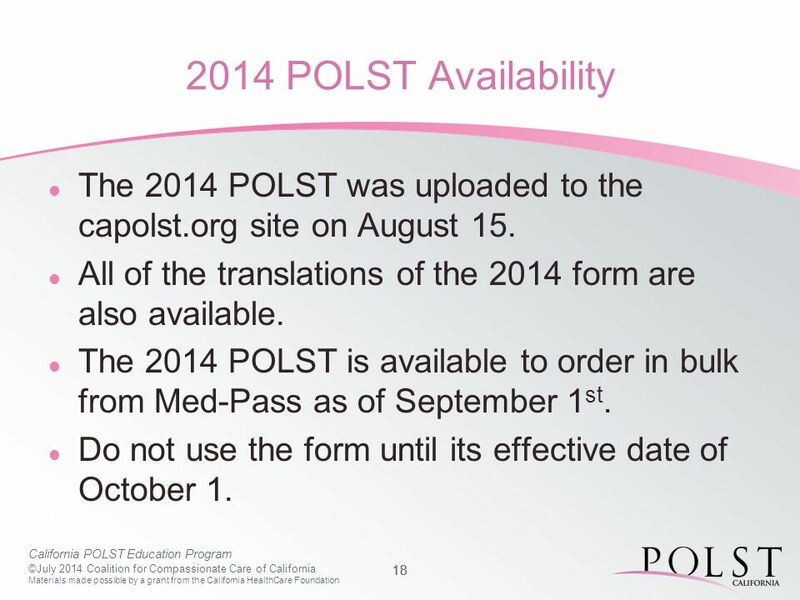 The 2014 POLST is available to order in bulk from Med-Pass as of September 1 st. Do not use the form until its effective date of October 1. 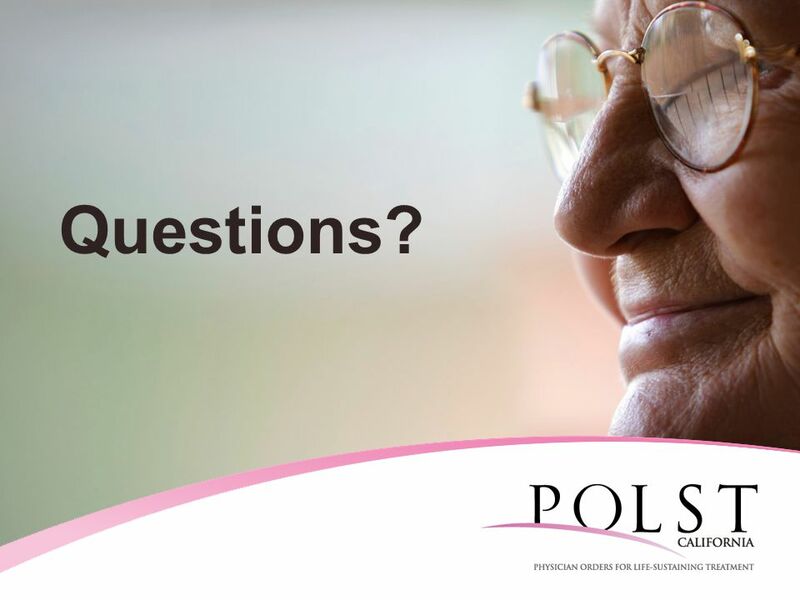 19 California POLST Education Program ©July 2014 Coalition for Compassionate Care of California Materials made possible by a grant from the California HealthCare Foundation 19 Questions? 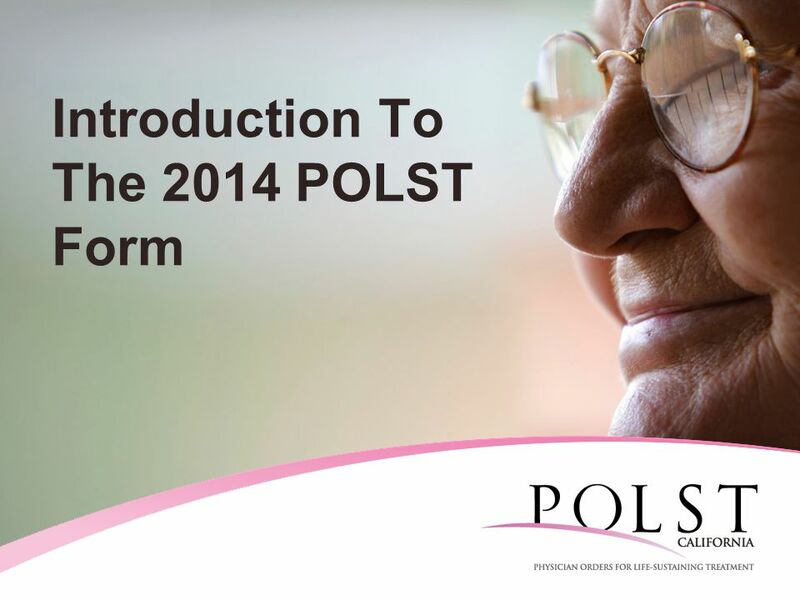 Download ppt "California POLST Education Program ©July 2014 Coalition for Compassionate Care of California Materials made possible by a grant from the California HealthCare." ICP 7-th Regional Coordinators Meeting World Bank, Washington D.C.
2011 ITRS Revision Guidelines1 JAN – MARCH – ITRS TABLES DRAFTS PREPARED –ITWGs and CrossTWG Study Group meet each month with their teams to work Difficult. 1 "Quality requirements for web-sites – recommendations for best practice for fulfilling user needs Best practice in communicating statistics: Making statistics. Labeling claims for patient- reported outcomes (A regulatory perspective) FDA/Industry Workshop Washington, DC September 16, 2005 Lisa A. Kammerman, Ph.D.
GNSO/Council Restructure Enhance & Support SGs/Constituencies Improve Communications & Coordination Revise the Policy Development Process Adopt a WG Model. North American Energy Standards Board Standards Development for Demand Side Management / Energy Efficiency September 30, 2009 Eric Winkler, Ph.D. Project. Standards Review Subcommittee Update August 20, 2013. Quality Education Investment Act of 2006 (QEIA) 1 Quality Education Investment Act (QEIA) of 2006 County Superintendents Oversight and Technical Assistance. Ad Hoc Bulk Electric System Task Force Update RPIC February 19, 2009. 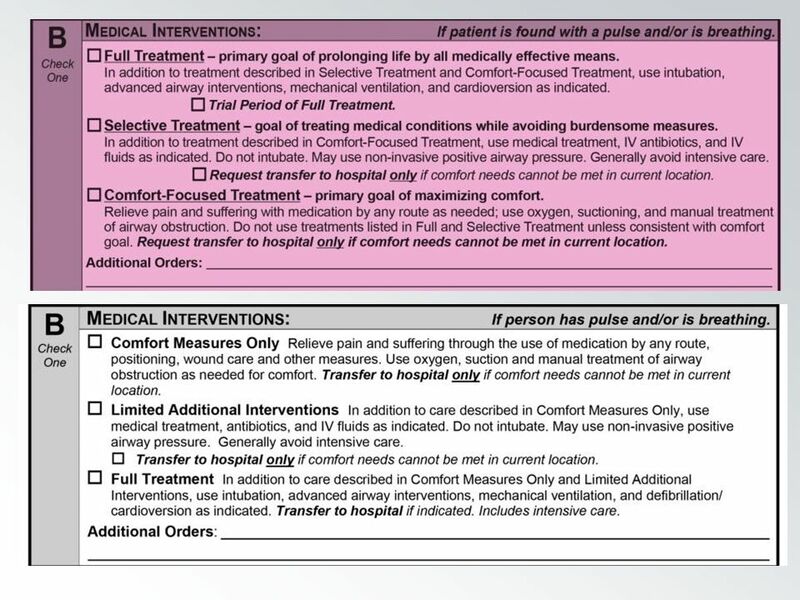 State of New Jersey Department of Health and Senior Services Patient Safety Reporting System Module 2 – New Event Entry. 1 POST FORM How does this affect me?. 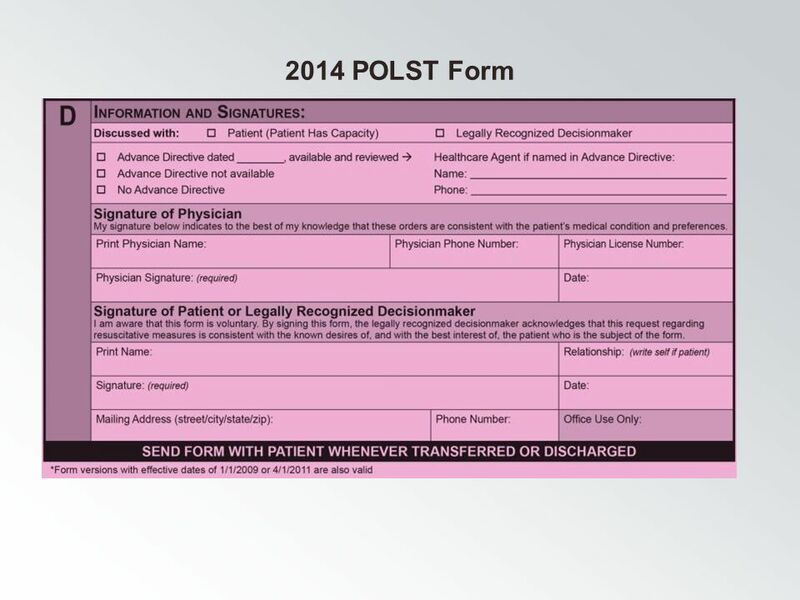 2 Tennessees Health Care Decision Act In 2004, the Health Care Decision Act was passed thus revising Tennessee law. KaufCAN.com ACA Update Focused on the Employer Mandate Final Regulations Shenandoah University Business Symposium March 25, 2014 John M. Peterson Kaufman. COMPREHENSIVE MISSION COMMITTEE Committee formed at May 2011 BOR meeting Co-chairs: Deputy Commissioner John Cech MSUB Chancellor Rolf Groseth. District 7410 Rotary Foundation Grant Management Seminar Thanks For Coming Welcome ! 1. 2 Anyone can suggest an idea for a law. Only Members of Congress can introduce a proposed law to the House or Senate. 3. 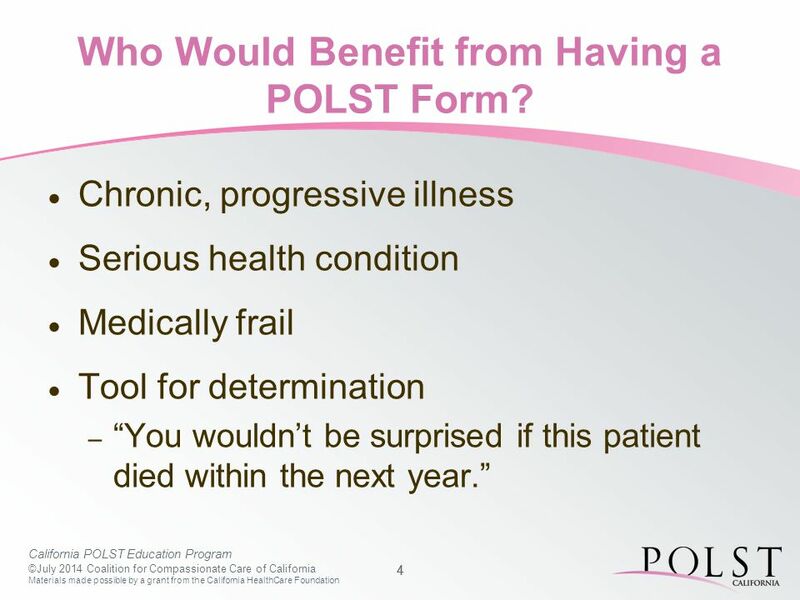 California POLST Education Program ©August 2014 Coalition for Compassionate Care of California Materials made possible by a grant from the California HealthCare.